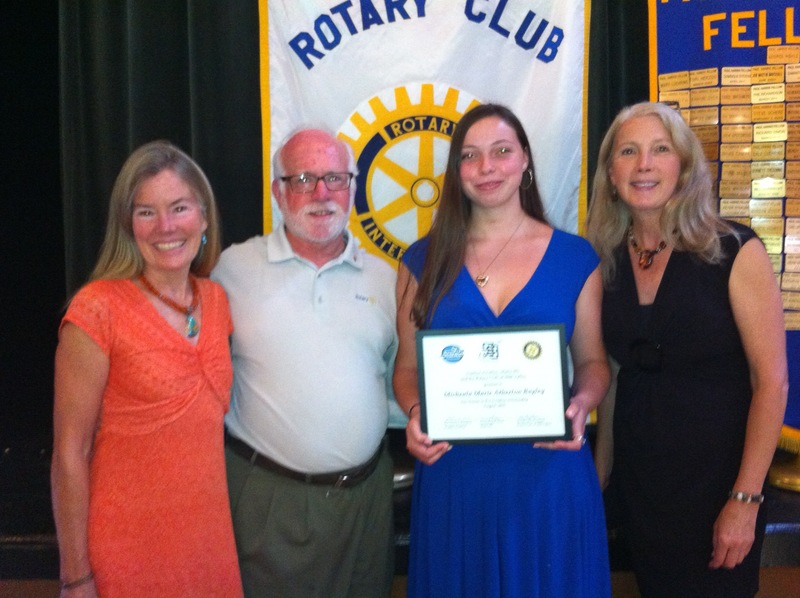 Cindy Pickett, Past Chair and Sue Royce, Chair of Marin 99s, presentedMichaela Bagley with our Dream to Fly Scholarship at the Rotary Club of Mill Valley on August 11, 2015. The Dream to Fly scholarship is a partnership between the Marin 99s, Scanlon Aviation and the Rotary Club of Mill Valley, all contributing $500 each for a $1,500 scholarship. Michaela, a recent graduate of Tam High in Mill Valley, is very excited to be starting lessons soon with Scanlon Aviation.